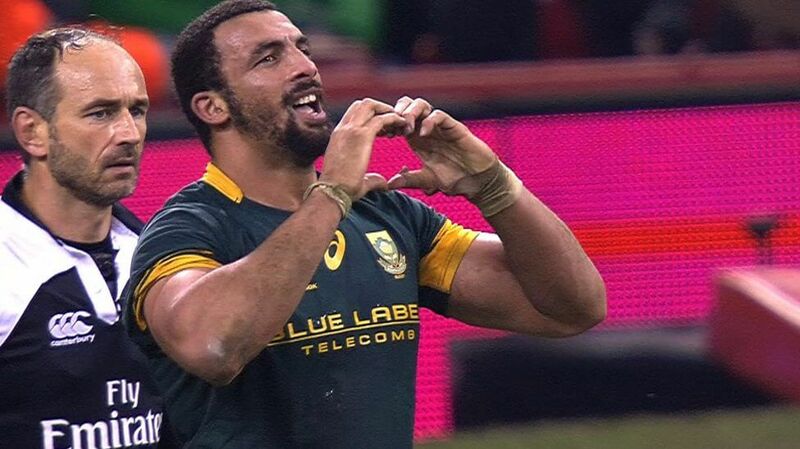 Scarlets have confirmed that Springbok number 8 Uzair Cassiem will join the region ahead of the 2018-19 season. The 28-year-old South African has put pen to paper on a new deal with the region and will link up with the Scarlets ahead of the 2018-19 season from Guinness PRO14 side Cheetahs. Cassiem, who has featured on eight occasions for the Springboks, started his playing career with the Golden Lions in 2011. The ball carrying number 8 is the third new name added to Scarlets’ squad for the forthcoming season, alongside loose forward Blade Thomson from Super Rugby’s Hurricanes and centre Kieron Fonotia from the Ospreys. Commenting on the news head coach Wayne Pivac said; “Uzair is a current international who possesses the skills that we believe will suit the way we play the game. He’s a dynamic player that likes to carry and has the ability to offload, is a very physical individual and has good aerial skills.